Our Expert commercial appliance repair technicians can repair any commercial oven no matter what the brand or model may be. We cover and service the entire San Jose and South Bay area. You can count on on our Experts with repairing your Restaurant Equipment and ovens. 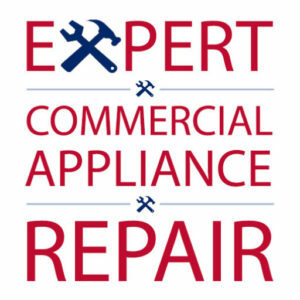 All of our certified commercial appliance repair technicians have a minimum of twenty years of experience with our manager, being the most seasoned with 30+ years of commercial repair experience. We also have many of the necessary replacement parts either on hand or at our warehouse in order to help ensure same day service. And with two strategically located field offices we’re the company you can trust with your commercial oven or toaster- we will have your restaurant’s operations up and running in no time. We repair all types and makes of commercial ovens including vintage and antique ovens. Over the years, we have repaired all types of commercial ovens including commercial steam ovens, convection ovens, accelerated cooking ovens, combination ovens, pizza ovens, conveyor ovens, toaster ovens and finishing ovens. Additionally, we have many of the necessary spare parts either on hand or at our warehouse in order to help ensure same day service. As a medium sized company that is family-owned and operated, we are thankful for each and every customer. We value your trust and always aim to build long relationships. We warranty as well as guarantee ALL of our work and replacement parts. We take pride in our work and always see to it that the job gets done. We carry replacement parts for many of the leading commercial oven appliance manufacturers including: Duro, Doyon, Garland, Thor, Cosmo, Bosch, Moffet, Capital, Hobart, Baker’s Pride, Peerless, Viking and much more. Although, we are sorry we DO NOT sell our replacement parts. What we have on our trucks and inventory we keep for our loyal customers’ convenience. Additionally, many of our repair techs are also certified with the EPA. This is important for adhering to the law’s strict guidelines for sanitary cleaning methods and ensuring the safety of your customers. In fact, we go above and beyond many of the state’s minimums to always ensure the best service every time. Repairing ovens, stove tops and hood vents can be very dangerous (especially units that are gas powered). Such things should be left to the Experts only. We also offer weekly and monthly maintenance programs. No matter what your restaurant’s or business’ needs may be we can always accommodate you. Our Expert repair technicians can extend the life of your commercial appliances by decades in addition, to saving you money on your energy bill since your commercial ovens will run more efficiently. Furthermore, the taste of many of your foods will be richer. Harmful grease build-up is not only toxic but can also, ruin great tasting foods! We’re Open 24-7 so Please Feel Free to Contact us Anytime! 408-652-8043 We’re The Repairmen who can Safely repair your oven! As fellow small business owners, we know what it is like to have a vital piece of your operations down. You can trust us to get to your restaurant, bar or business fast and on the same day. We often times dispatch many of our techs within the hour! Our master repair techs will have your kitchen's commercial oven baking again and in no time. Many of Our Repair Techs are Certified with The EPA and We ONLY Use Environmentally Safe Repair Methods for Your Restaurant, Bar or Business. The Best in San Jose.